Shark Attack! Should we actually fear the kings of the sea? Jaws, the 1975 American thriller film directed by the great Steven Spielberg has been hailed as one of the greatest classic movies of all time. The movie begins with a teenaged girl enjoying a swim at a supposedly carefree late night beach party, only to be suddenly pulled underwater to her horrific and untimely demise. The film’s grisly plot devices cued a surge of fear towards our underwater world. The infamous blue stealthy predator, the shark, has been suffering undeserved fear and hatred ever since. What are the chances of a shark attack? Consider this – over 100 million sharks are killed per year from a combination of extensive hunting which includes commercialized fishing for their fins (shark finning) which is a common food source in the foreign market (like Indonesia for example). And that is a conservative estimate! The depressing reality is that more than 273 million sharks are killed every year! Meanwhile, only about 10 people a year are actually killed in unfortunate shark encounters. However, despite the danger that sharks pose to humans being nearly negligible, we retaliate mercilessly against them. It is said that it is near impossible to give an exact number of sharks in the 138,668,500 square miles of sea as there are over 400 different species! Because there are so many kinds of allegedly nibbling sharks, one might suppose that there is some justification to a pervasive fear of a shark attack. However, the reality is that just the opposite is true. There is only a 1 in 3,748,067 chance of being fatally attacked by a shark, which is less likely than being killed by a falling coconut. Really. You are much more likely to die from heart disease (a one in five chance) than from a shark encounter. 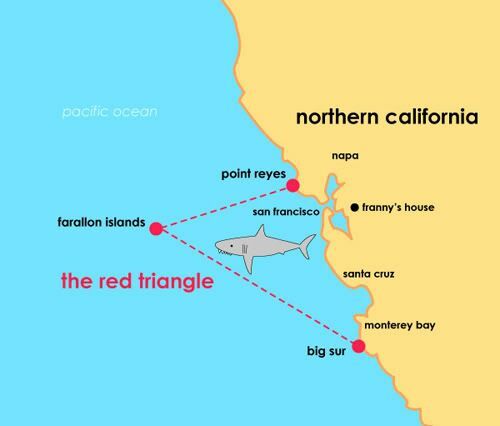 With these odds, one could propose that it might even be safe to wear a meat suit and jump into the shark-ridden Pacific (Red Triangle) (don’t try this at home, kids)! So why do sharks attack us (when they rarely do)? The answer lies in shark behavior. Sharks are not mythological, bloodthirsty, malicious creatures. In fact, a shark’s insatiable curiosity is what really provokes most attacks! Despite having superior sensory traits, with vision sporting 10x the light sensitivity of a human’s and hearing that allows them to detect other animals from two football fields away, human activity in the ocean does not make sense to sharks, so they naturally become curious about these strange creatures splashing about. Not having hands, a shark’s only means for exploring these anomalies in their waters is with their mouths and sharp rows of teeth, which they might use (very rarely) to take an “exploratory bite” out of a human. Sharks use exploratory bites to assess what a human is in order to see whether they are a threat or a food source. Unfortunately, this involves the shark grazing or partially biting the person which can cause severe injuries to the swimmer. Once a shark bites a person out of curiosity, they will retreat immediately, as they realize that we are unsuitable to eat, thereby giving the victim time to safely return to shore. When victims do die, it is generally due to rapid loss of blood or going into shock. While sharks seem to possess intimidating features, they are no more than curious animals swimming through our oceans who provide a valuable link in the marine food chain. Despite an unfortunate history of poor human treatment towards these misunderstood creatures driven by our fear or tastebuds, it’s our job to make sure we protect them from being driven to complete extinction to preserve marine ecosystems. 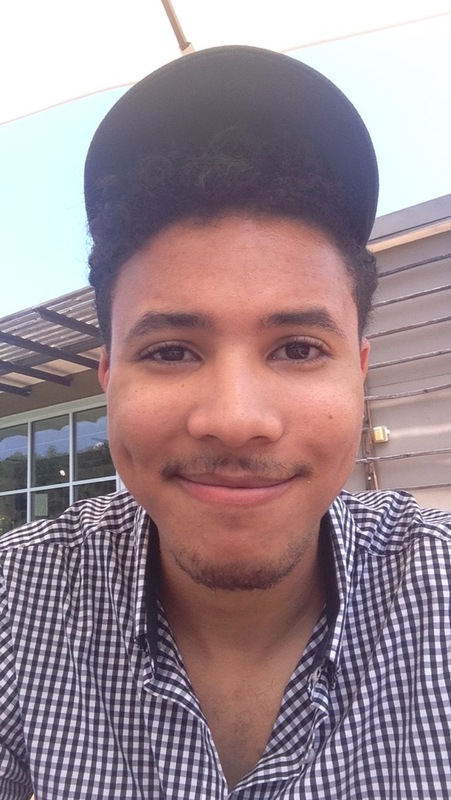 Tyus Williams is an Undergraduate student at the University of Georgia studying in Wildlife Sciences at Warnell, the school of Forestry and Natural Resources. He has a passion in wildlife conservation with goals to focus on the preservation of big cats for his career. Outside of his everyday life of science Tyus thoroughly enjoys watching anime and reading comics of classic Marvel series heroes, his favorite being Spider-Man. When he is not training in the ways of the nerd he finds enjoyment playing his guitar or enjoying the outdoors as he loves to hike and engage in adventurous rock climbing indoor and outdoor. If you would like to hear more from him or get in touch you can contact him at tdw20511@uga.edu.